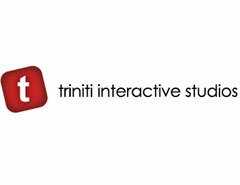 Triniti Interactive is one of the most successful developers of mobile applications.Founded in 2003,the company delivers high-quality products to a broad audience of consumers globally and quickly became one of the most popular and well-respected makers of mobile games. Triniti Interactive had two titles in top 10 and eight titles in top 100 on the App Store among hundred thousands of applications. In addition,we had over 20 titles in top 100 in respective subcategories.triniti Interactive aims to become a leading developer of mobile applications worldwide.